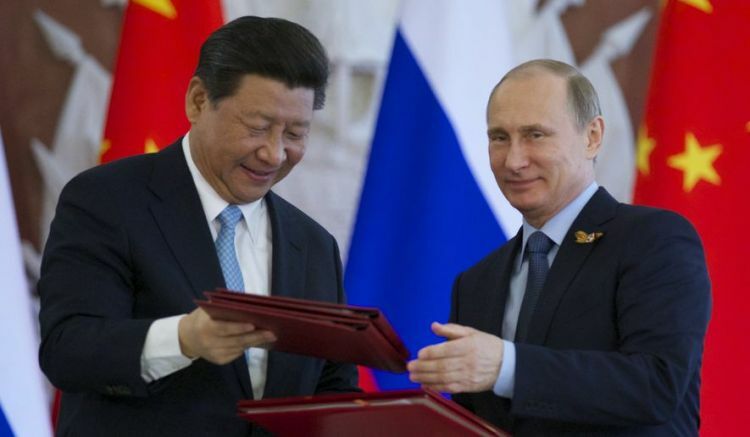 Russian President Vladimir Putin has accepted Chinese President Xi Jinping’s invitation to take part in the second Belt and Road Forum for International Cooperation (BARF) in 2019, the Chinese Ministry of Foreign Affairs reported on Thursday. "Chairman of the People’s Republic of China Xi Jinping has invited Russian President Vladimir Putin to take part in the second Belt and Road Forum for International Cooperation next year during his visit to Russia for the Eastern Economic Forum," the ministry said in a statement. "[Russian] President [Vladimir] Putin immediately and willingly accepted this invitation," the Chinese Ministry of Foreign Affairs reported. TASS has not obtained a confirmation of the Russian president’s upcoming visit to China from the Kremlin press service yet. The Belt and Road Initiative unites the Silk Road Economic Belt and 21st Century Maritime Silk Road projects, which were proposed in September 2013. It stipulates the signing of bilateral memorandums on cooperation with states located on transport Eurasian routes (more than 40 documents have already been signed), along which "economic development corridors" will be established. The first Belt and Road Forum for International Cooperation was held in Beijing in May 2017. It involved 29 state leaders and governments, as well as heads of major international organizations.